The MX-13 engine is rated at 455 horsepower and 1,650 pound-feet of torque. It was installed in a Kenworth T680 day cab bound for UPS Inc.’s regional haul operations. Kenworth Truck Co. is a Paccar brand. UPS ranks No. 1 on the Transport Topics Top 100 list of the largest for-hire carriers in North America. The MX-13 engine — and the MX-11 — offers a B10 design life of 1 million miles in linehaul applications, which means 90% of the engines will log up to 1 million miles without a major overhaul, according to Bellevue, Wash.-based Paccar. 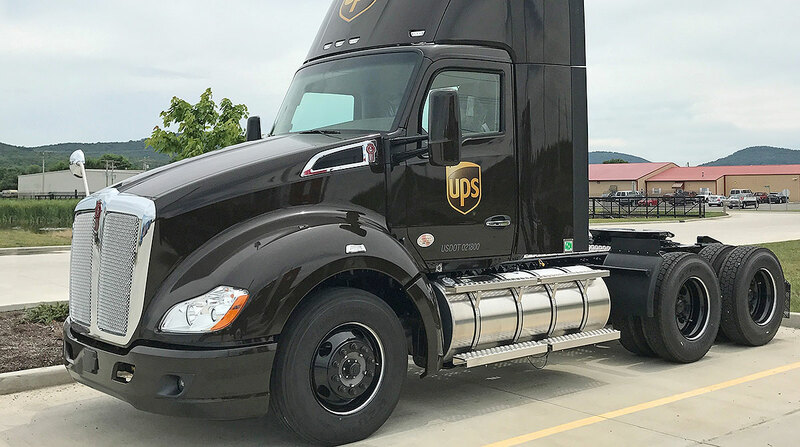 The T680s and MX engines UPS is using are performing well throughout the United States, Bill Brentar, senior director of maintenance and engineering for transportation equipment, said in a news release.